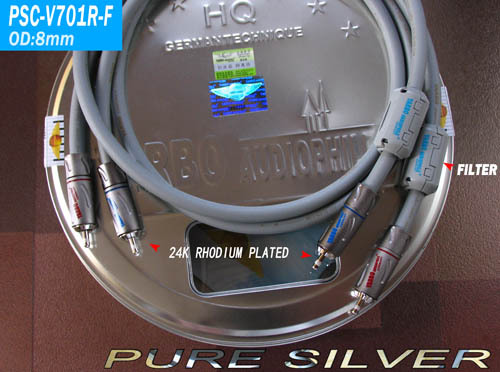 Assembled imported internal terminals of the main body made of ultra-pure German copper material, the surface plating 24k silver, lockable, new RCA terminals, the center stylus is the use of expensive German precision equipment, Seiko to create the middle part of a number of prominent enhanced Floating point of the unique patented stylus, its signal transmission characteristics far higher than the other RCA terminals, low attenuation. Shell with special expensive non-magnetic alloy material to ensure long-term use of quality will not decline. 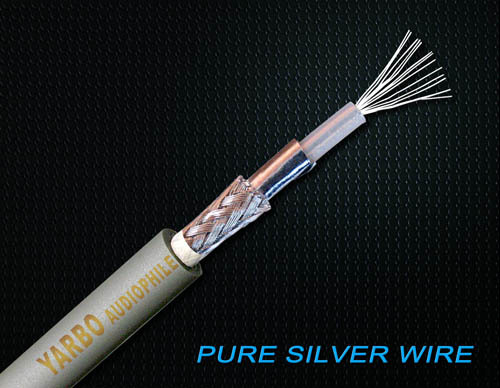 Wire for the multi-strand coaxial structure and special dielectric composition, the conductor made of 99.9999% large crystal pure silver in Germany, can effectively improve the sense of communication speed, the bandwidth is particularly superior, with excellent HI-FI level signal transmission level; weak signal There will be no loss; can make your audio equipment sound more sweet, delicate, more transparent high-frequency, low-frequency more powerful, more noble music.